Capileira and the whole area of La Alpujarra have many hiking trails through the south face of the Natural Park of Sierra Nevada. In this region, surrounded by pure nature, mountain landscapes, wooded areas or rivers, make La Alpujarra is an ideal hiking place. Here we suggest some hiking trails in La Alpujarra of high interest near our location. In the hotel we have information and extensive knowledges and we are happy to advise you on your routes through the Natural Park of Sierra Nevada. 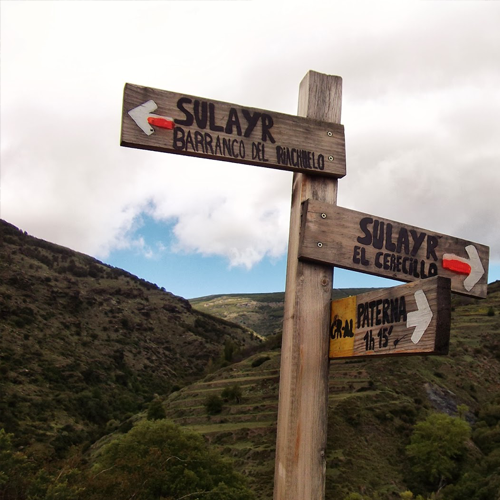 This route leaves the village of Capileira where we are and you and you go into the Poqueira Valley, passing through a village abandoned, across the river Poqueira and leaving behind landscapes and stunning views. It is a hiking trail by the Alpujarra that moves between 1400 and 1600 meters altitude and can be done throughout the year, but is especially recommended in spring and autumn. This route passes through 3 villages that form the wonderful Poqueira Gorge, considered the three historical and artistic villages: Pampaneira, Bubión and Capileira. This route through the Sierra Nevada Natural Park part and ends in the village of Pampaneira, but also passes through our town, so you can go by public transport to Pampaneira and finish in Capileira to make it shorter. This trail through the Alpujarra comes out and ends in our neighboring village, Bubión. We will pass through areas of chestnut, oak and chaparral and get wonderful views of the Sierra de Lújar on one side and the other the Veleta Peak, the Poqueira Valley and the villages that make up the gorge, Pampaneira, Capileira and Bubión. This route leaves and reaches the village of Pampaneira, a 10 minute drive from our hotel. It has a vertical drop of 250 meters and ranges from Pampaneira to Bubión, going back to Pampaneira again. Goes through an oak forest and during the the tour you will enjoy, among other attractions, of a beautiful view of the river Poqueira as we go down and returning to the village of Pampaneira. Sun Mountain, name with which the Arabs knew Sierra Nevada. This trail runs through the park Sierra Nevada through 19 stages, including several hiking trails through the Alpujarra and 2 of them, the Capileira- Puento Palo (10.5 km round and same back) and Capileira – Trevélez (. 17,4 km go and the same back) leave our village and both are highly difficult for its length and hardness. 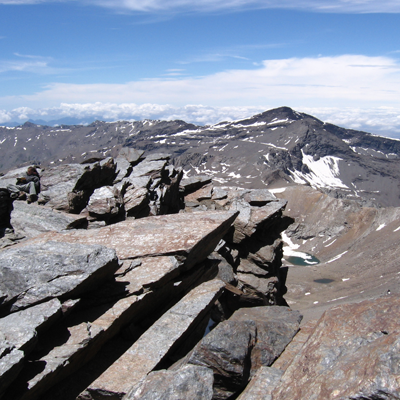 From Capileira you can climb the Pico Mulhacén, the highest in the Iberian Peninsula. The trail through the Alpujarra, which starts and ends in Capileira, it should make for two days by the distance and height difference to be overcome. This exciting route for lovers of mountain passes trough “La Cebadilla” and the”Cortijo de las Tomas” before reaching the Mulhacén, and by pre night at the Refuge Poqueira. Our area is one of the areas of rural tourism for excellence both in Andalusia and nationally. 2 of the 3 highest peaks of the peninsula is in our Sierra Nevada National Park, which, together with the architecture and way of life in the towns that form the Alpujarra, make this area a perfect place to spend some days enjoying our nature, our cuisine and our people. 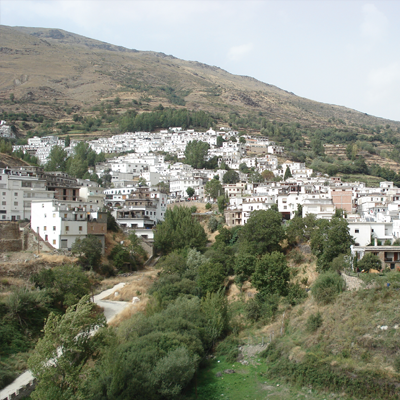 Alpujarras have great historical past with a strong Arab influence due to the hundreds of years that they inhabited these lands. Because of its geography, peoples have steep slopes so in many cases the houses are staggered and face south to take advantage of the good Mediterranean climate. 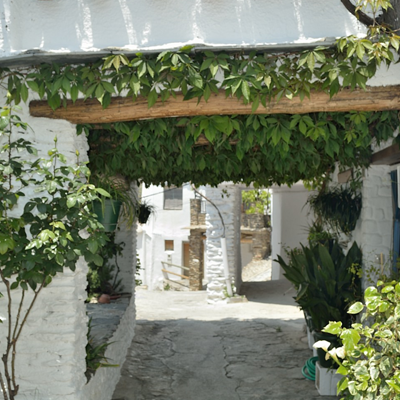 Undoubtedly, one of the most charming towns and an emblem within the rural tourism in the Alpujarras. A walk through the tranquility of its narrow streets you fall in love. 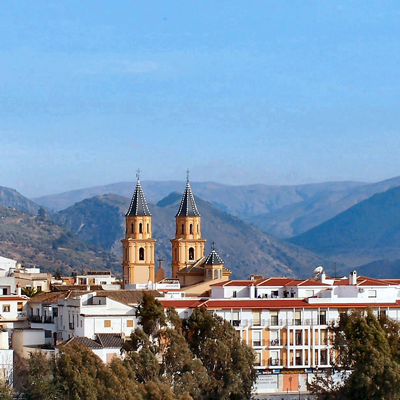 From the viewpoints of Capileira you can enjoy spectacular views of the southern Sierra Nevada mountainside after walking through its streets or visit the Church of Santa Maria Maggiore or the museum of Pedro Antonio de Alarcón. To know all about our people we have created a guide in Capileira for you. Along with Bubión and Capileira are considered historical and artistic and are the villages that form the Poqueira Gorge. 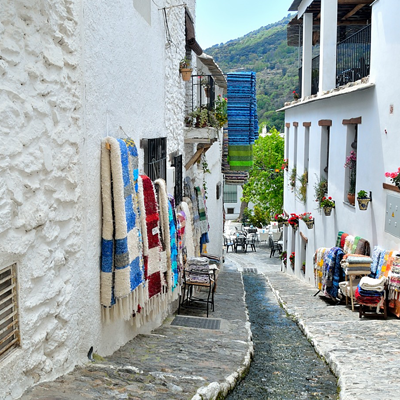 Pampaneira, one of the most famous villages of rural tourism in La Alpujarra has maintained the Berber aspect in the architecture of its streets and houses. It is highly recommended to wander through its narrow streets, drink in one of its many bars and restaurants or visit the famous local craft stores. Landscape of steep streets and stepped houses, maintains the same style as its neighboring towns of Capileira and Pampaneira, with which it shares the deserved title of historic and artistic. 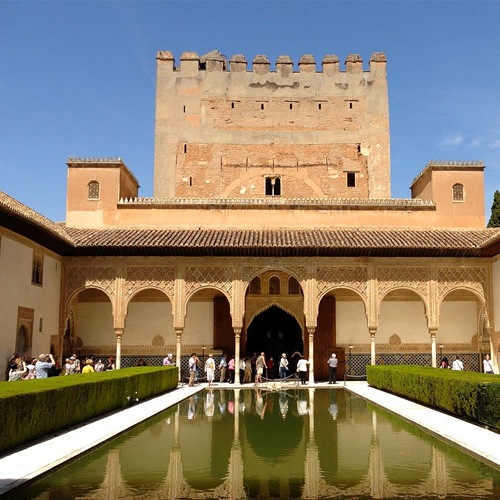 Its Moorish architecture and the tourist town, housing built by the Government of Andalusia, from where they leave many routes for walking, horseback or by car, Bubión make a perfect place to enjoy rural tourism. Uno de los pueblos emblema de turismo rural en La Alpujarra y el más alto de toda la península ibérica, a 1476 metros de altitud. Encajado en las laderas del Mulhacén, su clima y aire limpio y fresco es ideal para curar sus famosos jamones. Con un marcado pasado morisco, el pueblo se estructura en 3 barrios que descienden hasta llegar al río Trevélez. No olvides pararte en alguno de sus bares a degustar el rico jamón de Trevélez. Capital de la Alpujarra Occidental, es la mayor población de toda la zona. Órgiva combina la modernidad con el mantenimiento de la tradición que le otorga estar en una zona con una personalidad tan marcada como La Alpujarra. Destacan como monumentos a visitar La Ermita de San Sebastián, La Casa Palacio de los Condes de Sástago, la Iglesia o el Archivo museo. De Órgiva también salen varias rutas de senderismo. 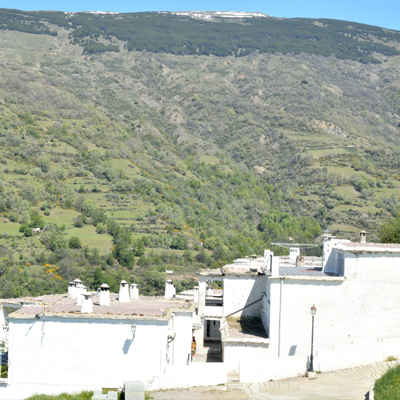 La puerta del turismo rural de La Alpujarra. Conocida como la ciudad balneario por la gran calidad de sus aguas mineromedicinales, cuenta con el balneario más frecuentado de todo Andalucía. 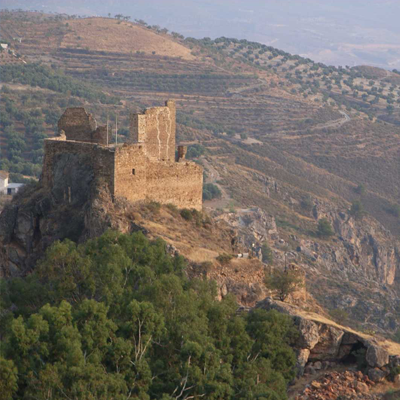 Entre sus atractivos turísticos destacan el Mirador de La Cañona, El Castillo de Lanjarón, que se eleva dominando el Valle del Rïo Lanjarón o su típico barrio Hondillo de arquitectura tradicional alpujarreña donde se venden objetos artesanales. Throughout the Alpujarras, it deserves special mention making tissues. 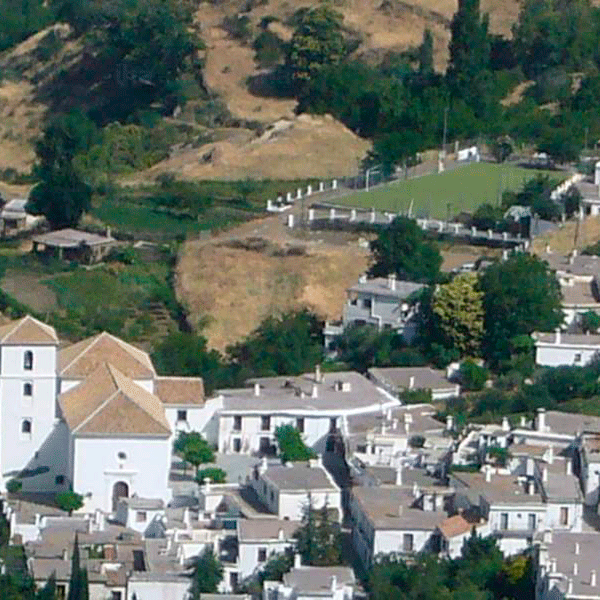 In recent years, they have settled in the region numerous craft workshops that also looms, have relaunched ceramics and even jewelry, which has led to numerous artists and craftsmen, with musicians, painters and poets from ALL around the world have chosen La Alpujarra as a place to live for its pleasant and relaxed lifestyle. Gastronomy is another of our strengths. 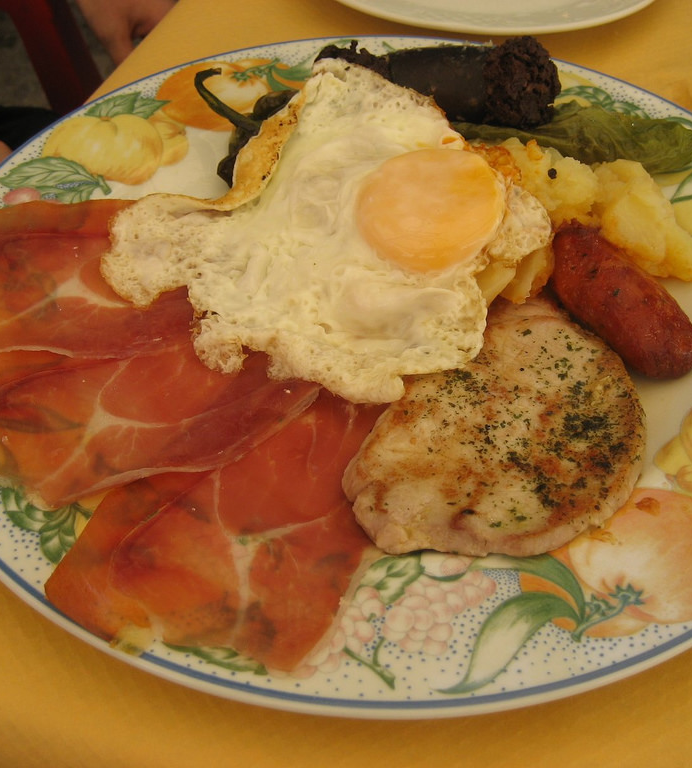 Highlights include ham, alpujarreño dish (a typical mountain dish with eggs, sausage, pork daggerboard, sausage, ham and fried potatoes) or trout from the mountain rivers. 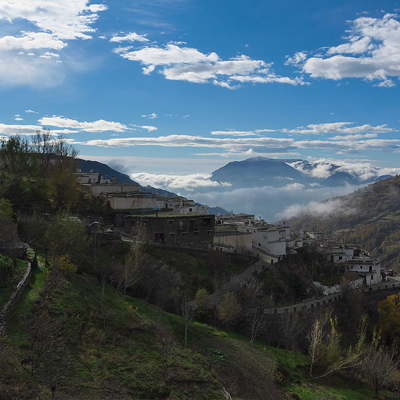 In addition, the Alpujarra is an area of retreat for those seeking meditation related activities, including hosting a famous Buddhist center situated at 1600 meters altitude. 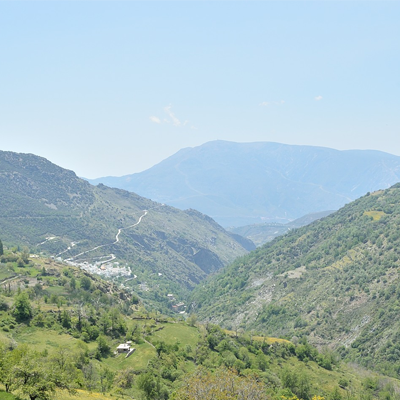 In short, rural tourism in La Alpujarra is characterized by its wide range of activities that can be performed and also for its cuisine and perfectly preserved traditions. The wealth of the province of Granada makes it a great destination to enjoy both rural tourism, such as cultural, urban or beach taking advantage of the spectacular climate of the area. Only 1 hour and a quarter of our hotel is the Granada coast. 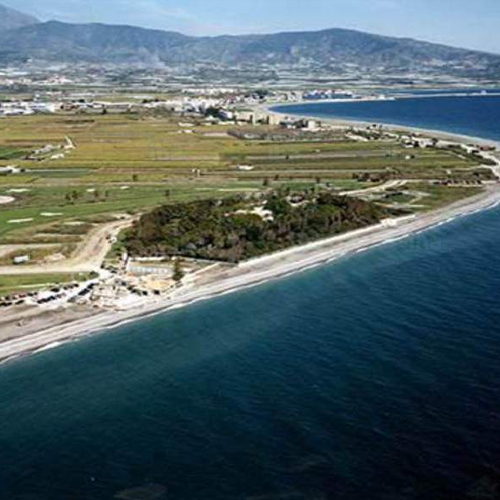 There you can go down to cool off in the hottest months and enjoy the sea and gastronomy of the coast in towns like Motril, Salobreña or Almuñécar.